Editor’s Note: Today’s post comes from contributing editor Bob Beach. Beach is a Ph.D. candidate in history at the University of Albany, SUNY, and discusses the brown bag talk he gave at Utica College earlier this week. Yesterday afternoon, I gave a talk entitled, “Drug War Critique: What Critics Get Wrong About Marijuana Legalization.” The talk is part of a monthly brown bag speaker series sponsored by Utica College’s Center for Historical Research. In light of New York State’s recent efforts to push for the legalization of marijuana as part of Andrew Cuomo’s 2019 Justice Agenda, I decided to present Cuomo’s legalization proposal and respond to a series of critiques of Cuomo’s plan presented by public officials and parent groups last week, who cited a threat to public safety as a justification for their opposition. Editor’s Note: Today’s post comes from Dr. Seth Blumenthal, contributing editor and lecturer at Boston University. He’s been tracking the roll out of recreational marijuana legalization in his home state of Massachusetts and provides this report. Enjoy! As I sat behind the police chief while he spoke to the City Council in favor of a ban on marijuana dispensaries in my city–Newton, Massachusetts–I realized I was in trouble. Surrounding me in the public seating section, every other attendee held up a brightly colored “Opt Out” sign in silence. One nice woman even asked me if I wanted a sign, which I politely declined. After all, I was there to follow the chief and offer a rebuttal. As a historian with a focus on marijuana history, I had already been active as an academic endorser for Question 4 that legalized marijuana in 2016, and so I was asked to speak on behalf of a compromise that would limit dispensaries to no more than four, rather than the eight mandated in the commonwealth’s provisions. Although 55% of Newton residents voted for legalizing recreational marijuana in 2016, a strong, vocal group organized to propose a ban on cannabis dispensaries within the city limits. Of the 351 municipalities in the state, more than 200 towns have imposed bans or temporary moratoriums on recreational pot operators. (You can see an interactive map of the bans here: http://www.wbur.org/news/2018/06/28/marijuana-moratorium-map ). Editor’s Note: This is the last post in our series from the Cannabis: Global Histories conference, held at the University of Strathclyde from April 19-20, 2018. It comes from Lucia Romero, an assistant researcher at CONICET (Argentina’s National Scientific and Technical Research Council). In it, she explores the grassroots groups that overcame decades of prohibition to increase access to medical marijuana in Argentina. Enjoy! This paper discusses the rise of therapeutic cannabis use in Argentina. Through documentary work and personal interviews, our sociological approach focuses on how users (patients, growers) and experts (scientists, doctors, lawyers) produce and exchange different types of knowledge related to this medicine. Our starting point was the recent medicinal cannabis law sanctioned in Argentina. Although cannabis has been socially signified as a drug and ruled illegal in the country for decades, over the course of two years, we have seen an accelerated process of social, medical, scientific and political legitimation of medicinal cannabis, which was concluded with the approval of a national law in March 2017. This law stipulates a regulatory framework for medical and scientific research and administrative resources to import cannabis oil for epilepsy patients, while private and designated cultivation remains illegal. This topic was, and is still, a central cause of conflict and political fights carried out by activists for health cannabis, as they and the growers are excluded from the law (many activists for health cannabis practice and promote self cultivation). Editor’s Note: Today’s post comes from Dr. Chris Elcock, an adjunct professor at the Université Jean Moulin Lyon 3 in Lyon, France. His dissertation on the history of LSD in New York City is currently being expanded into a monograph. Here, his post deals with the early days of cannabis activism in the 1960s, and expands on the work he presented at the Cannabis: Global Histories conference held from April 19-20, 2018, at the University of Strathclyde, Glasgow. Enjoy! It’s only a matter of time before the United States fully legalizes cannabis use on a federal level. More than thirty states now authorize medical marijuana and a handful have decriminalized it altogether, creating a lucrative business in the process. For the most part, this has been the result of popular initiative. The right to smoke pot not should be solely equated with the right to have fun, however. For many Americans, accessing marijuana for a variety of medical reasons seems like a fundamental right after decades of harsh penalties for possession of a plant that many Americans view as quite innocuous. Others believe that pot should be altogether decriminalized on libertarian grounds: the government should not tell them what they can and what they can’t put in their bodies. Still others think that states should remain sovereign and legislate on pot without the interference of the federal government. This year, medical marijuana is on the ballot in my home state of Florida, and it’s likely to pass: the latest statewide poll shows 77 percent of Floridians support the proposed constitutional amendment. But the remaining 33 percent aren’t taking this lying down. On Monday, some county sheriffs held a press conference ostensibly on Halloween safety. Instead, surrounded by costumed children for full effect, they warned citizens about the supposed risk of marijuana edibles being passed out to unsuspecting youth. If you rolled your eyes, you’re not alone. Several news outlets immediately speculated that the press conference was an effort to rally anti-marijuana enthusiasm before election day. None of the law enforcement officials present could identify a prior case in the state, though they insisted the “threat” is real. Florida parents likely have little to fear next Monday night, regardless of the imminent election results. Even in newly legal states, no one (well, no child) found a “Pot Tart” or “Zonka Bar” in their Halloween haul last year. (And, when you think about it, how many people were handing out chocolate liquor cordials before then?) Plus, the idea of adulterated candy is nothing new. Snopes identified variants of this trope, including poisoned, razor-containing, or intoxicating children’s confections, going back decades. Only a few spuriously related incidences have ever been documented, and those have little or no connection to the actual goings-on of the holiday. Folklorists like Turner, Gary Alan Fine, and Jan Harold Brunvand have for decades implored us, not to question the “objective” “truth” of these ideas, but to analyze what anxieties they reveal within their constituencies. It doesn’t necessarily matter if, as some profess, the CIA introduced crack to American cities, or methadone causes cancer, or suburban stoners would divvy up their stash with neighborhood kids. But those repeated ideas, true or false, sincere or not, have real implications. What anxieties can you identify in this case, and in our mythic drug discourse more broadly? Editor’s Note: This article was co-published with History News Network. In the wake of the first major anti-legalization vote after three years of seemingly intractable progress, what Bajaj and many others decried was not the halted expansion of legal cannabis, but rather the specter of Big Marijuana: the threat that pot, if legalized, would become as fierce and monopolistic a vice as Big Tobacco, Big Alcohol or Big Gun. 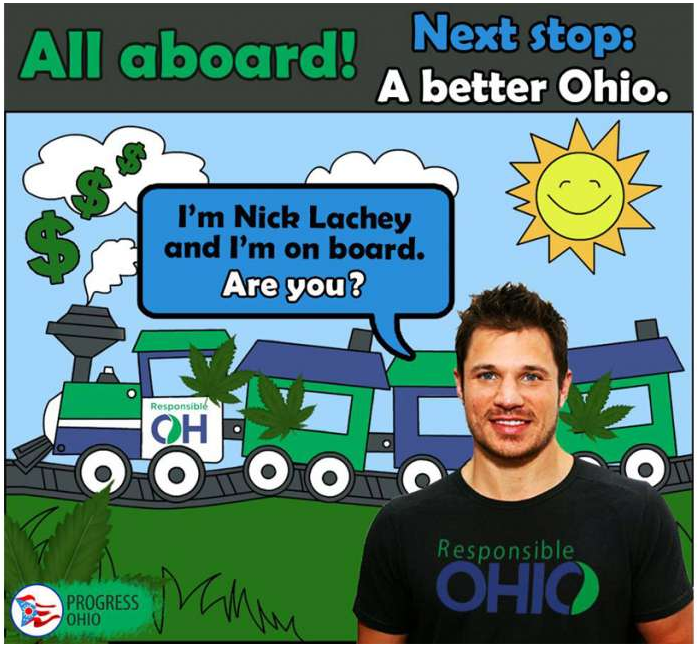 And Issue 3, which was originally proposed by a group calling itself ResponsibleOhio and backed by wealthy investors (including retired NBA player Oscar Robertson and former boy bander and Buckeye State native Nick Lachey), seemed to embody those fears by granting the sole right to cultivate legal weed to just ten farms, all of which were owned and operated by these same investors. As November 3 approached, the specter of a marijuana monopoly seemed increasingly real: even as legalization was being touted as a social justice issue (by reducing the number of arrests of non-white males), it couldn’t escape the fact that it also smacked of a system that was inherently unfair, a symbolic gesture toward social equality that, in truth, benefitted only the already-privileged few. What’s particularly interesting for drug historians, however, is not that this was one of the first rejections of legal marijuana in the past three years, or that it could be a harbinger of marijuana’s difficulty making inroads in the Midwest, but rather that arguments against Big Marijuana are once again rearing their ugly heads. The specter of Big Marijuana invoked last week was only the most recent example in a debate that’s been going on for forty years. Newly-reinvigorated after Ohio’s rejection of Issue 3, whenever there are discussions of legalized or decriminalized marijuana, fears of corporate takeovers and monopolies are never far behind. 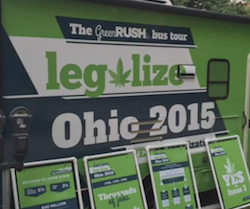 As of last week the political group known as ResponsibleOhio successfully secured enough signatures to put their controversial marijuana legalization measure on the state’s November ballot. In the coming months voters in the state (like me) will surely be subjected to campaigning from both supporters and detractors. Regardless of position, almost everyone agrees that the proposed Ohio measure is different from those already passed in Colorado, Washington, Oregon, and Alaska. Supporters will argue that is a good thing. They suggest the ResponsibleOhio plan is better than the current prohibition regime, that it will raise millions in tax revenue, and that limiting production to ten highly controlled grow operations will allow them to amply supply the market while ensuring less marijuana leaks into black markets or across state lines. Detractors will continue to assert that ResponsibleOhio’s plan will enshrine a constitutional cartel (or monopoly) on marijuana that benefits only its group of wealthy supporters, while allowing them to restrict the market and price to their control with limited regard to public health and safety. What we are highly unlikely to see in this debate, however, is a look at historical cannabis regulations in the United States prior its federal prohibition in 1937. This is unfortunate, since there are perhaps some very interesting lessons to be learned from a period in which cannabis was generally legal but often restricted.